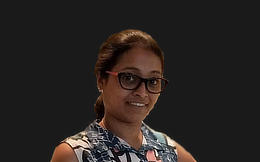 Prarthana is a data scientist at Flutura Decision Science and Analytics. She has implemented an analytical solution for one of the largest industrial adhesive manufacturing company which improved the quality of finished goods by using Dynamic Operating Procedure. With an Industry experience of 5 Years, she has worked in Manufacturing, IoT & Retail domains. She has hands-on knowledge of tools like R, Python, MongoDb.